A couple of years ago I wrote a post showcasing some of the best pre-lit Twig Trees available for Christmas and it’s become one of my most popular posts at this time of year. You can’t beat a beautiful, traditional Christmas tree, but if you’re looking for modern Christmas tree ideas, look no further. These are particularly good if you don’t have much space or height in your room, or if you’re looking to decorate different rooms in the house. In our home we always have two trees. One for ‘best’ and one for the kids. I know it’s not everyone’s ideal, and many of you will criticise me for it but it works for us, and the girls absolutely love it. Being slightly older now, they have a very good eye, and love a bit of good design, so both trees look pretty similar. 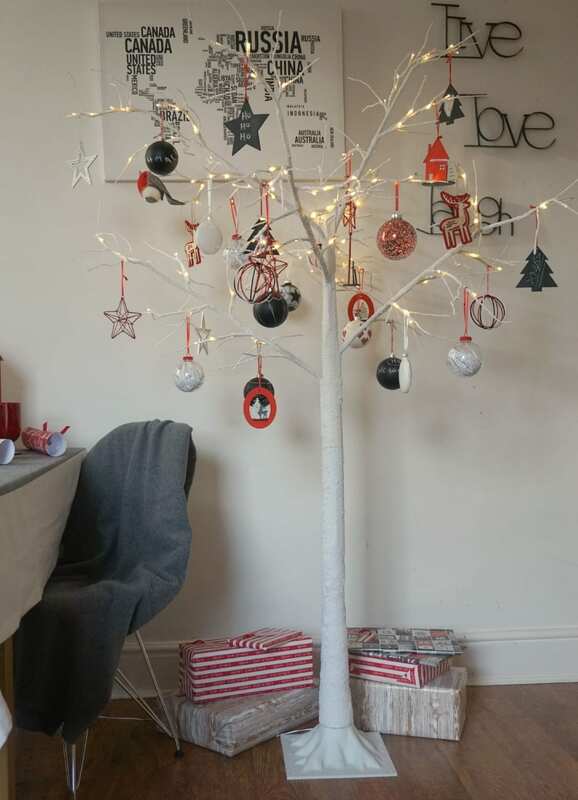 Both are contemporary twig trees, (even though part of me hankers over a 6ft Norwegian Spruce) which suit our home, so I thought it might be a good idea to explore what other alternative Christmas tree ideas there are, in the hope of giving you some inspiration for your own home. So, if you’re looking for some modern Christmas tree ideas in your home, how about some of these? One of the simplest things to do is forage twigs and small bush branches, display them in a vase and hang decorations. Perfect for a table top or the kitchen. Find out how to create a Christmas tree simply from what you have in the garden, like this one from Parentshaped here. 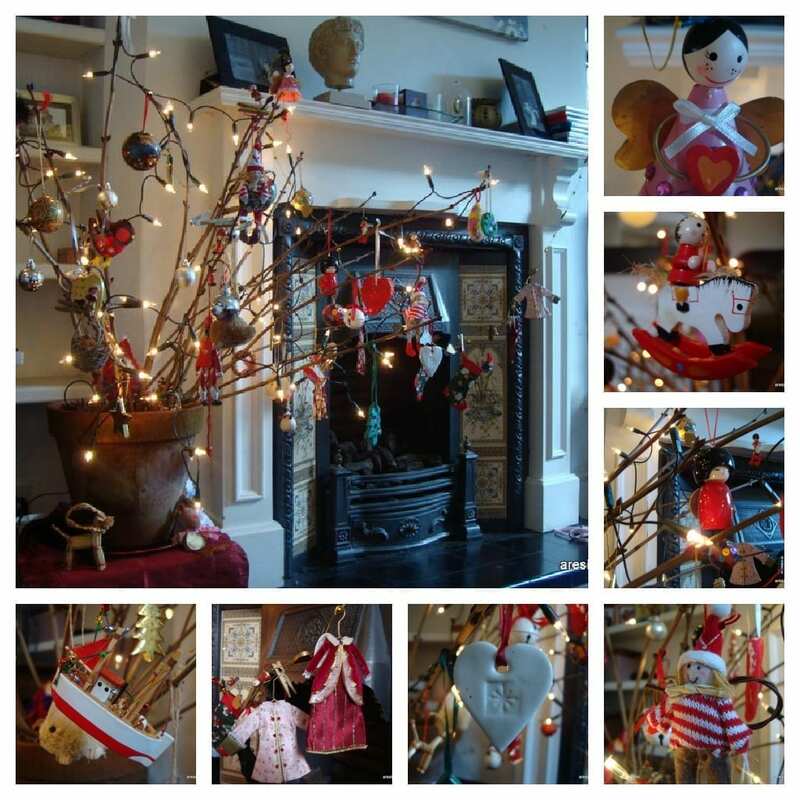 Use an old ladder against a wall and hang decorations and baubles for a more rustic Christmas tree alternative. Zigzag fairy lights up a wall, slowly decreasing the width to create a tree like shape. Add a paper star onto the wall at the top for the finishing touch. 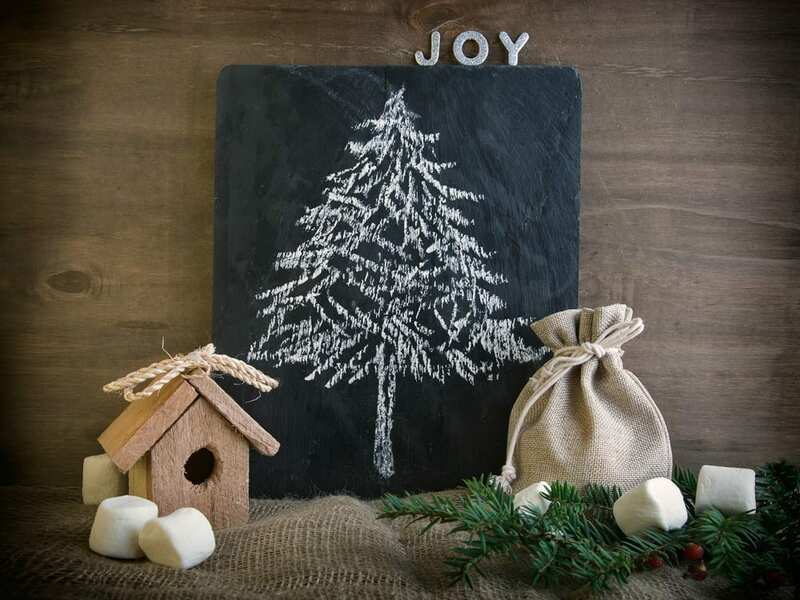 Why not paint a wall in chalkboard paint and draw on your own. Use different coloured chalk for the baubles and accessories. If you’re lacking wall space, think about using the doors and take any of the above ideas to create a door hung alternative tree. Why not use fake (or real) Christmas presents layered from large to small to create the shape of the tree. Finish with an angel or star at the top. Don’t forget of course to add extras to your contents insurance, from somewhere like Together Mutual Insurance, something we tend to overlook at Christmas when we have extras in the house. With all the time and money you’ve invested into the extra gifts around the tree, it’s important not to overlook this fact, something I’ve often done in the past. 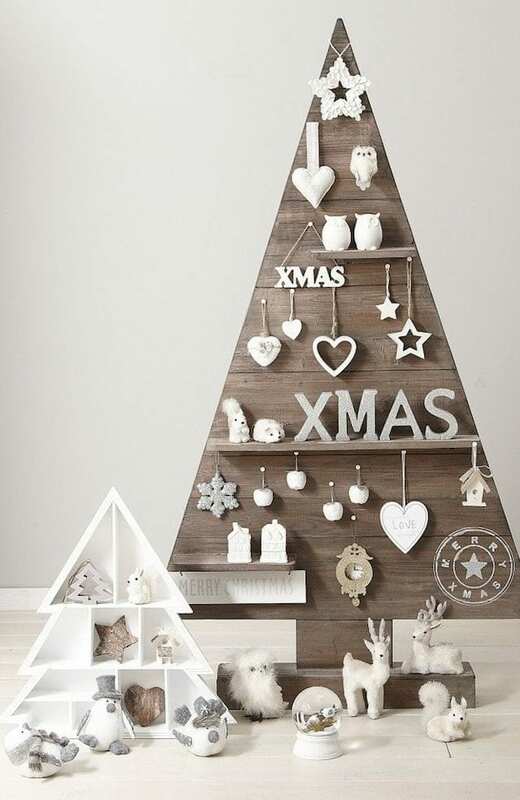 Scandi styling is more and more popular at Christmas now so how about a wooden tree flat against a wall? So what do you think of my modern Christmas tree ideas? Could you include some of these in your home? Or does your heart lie with a traditional tree every time? I’d love to know your thoughts below. Great suggestions, I’ve always loved that one of Penny, so simple but gorgeous! Lovely photography, the twig trees are a brilliant idea for small flats in the city. Very interesting ideas for Christmas configuration. I’ll try some of them. Thank you! 🙂 Merry Christmas! Really appreciate your lovely ideas! Christmas is coming and this is the first time I feel so excited! Thank you Jen – you are amazing!